If you are a business owner, contractor or freelancer then a low-doc loan can help you get into your own home. What are low doc home loans and how can they benefit me? Low Doc stands for low documentation. 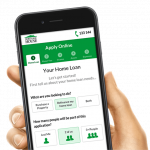 Low doc home loans can benefit people who don’t have access to the level of information banks and lenders often require for regular home loans. If you are a business owner, contractor or freelancer, you may not be able to provide the proof of income or employment history often requested. Your income may be irregular, but it may still be high enough and stable enough to make the required repayments. At Mortgage House, we can help you find a suitable low doc loan using the documentation you have available, provided your credit history is strong. What type of Low Doc loans are available? Variable rate home loans. A variable mortgage features an interest rate that can increase or decrease over the life of the loan, influenced by a range of internal and external factors. Fixed rate home loans. With a fixed home loan, your interest rate is fixed for an agreed period, which is usually between 1 and 5 Once the fixed period is over you can negotiate another fixed period, or the loan will revert to a standard variable interest rate. Investment loans. An investment loan is a mortgage that is used for residential investment, such as an investment property or a small group of units. Owner-occupied home loans. An owner-occupied mortgage is one that is used to buy a property you intend to live in. Principal and interest home loans. With a principal and interest mortgage, the repayments are made up of both the principal amount and calculated interest. Interest-only home loans. Interest only mortgages feature repayments that are made up of only the interest amount of the home loan. Construction home loans. A construction loan can be a good option if you are building a home. It allows you to pay your builder in phases once agreed stages of the house have been built. You only pay interest on the amount you have paid out. What low doc home loans does Mortgage House offer? What are some of the features of low doc loans? Offset. The offset feature of a low doc mortgage allows you to offset the amount of your home loan against the balance of a separate non-interest-bearing bank account. The interest is calculated on the difference between the two accounts, saving you money. Additional repayments. As it sounds, this feature allows you to make extra repayments without being penalised with a fee. Redraw. The redraw feature means you can redraw, or withdraw, any extra repayments or lump-sum payments you have made, provided your minimum repayments are up to date. Toggle. The toggle feature can give you extra flexibility by allowing you to toggle between a fixed and a variable interest rate, depending on what suits your financial situation best at any time. This can help you maximise your interest savings. Relocation feature. Not many people stay in the one home over the 30-year life of a mortgage, so a relocation feature makes it easier to take your existing loan with you when you move. It can also help you buy a new home before selling your old one. How much interest will I pay with a low doc loan? Interest rates can vary from loan to loan and, of course, from loan amount to loan amount. Low doc loans can sometimes attract higher interest rates than regular mortgages, given the potentially higher risks to banks and lenders. Mortgage House’s repayments calculator can give you an indication of how much your repayments will be over the life of the loan. You will also discover how much interest you will pay in total, and when you will pay it. What can I get a low doc home loan for? Purchase. Buying a property is the core reason most people take out a home loan. Refinance. Refinancing allows you to move your current loan from one lender to another or from one type of mortgage to another. Debt consolidation. Consolidating your debts can save you money on both repayments and interest. Consolidation allows you to move multiple loans into one. Construction. If you’re building a home, a construction mortgage can be suitable. Vacant land. Vacant land can be a good investment, and using a low doc home loan to purchase land, with no immediate plans to build on it, can also be beneficial. Equity release. If you have built up a certain amount of equity in your current home, a Mortgage House home loan can help you release that equity and get you closer to your property goals. How much can I borrow with a low doc home loan? Applying for a home loan with Mortgage House means you have access to a range of different services that can help you both narrow down your property search and help you with your budgeting. One of those services is our borrowing calculator. All you need to do is enter the information as accurately as you can, using the information from one of our low doc loans, such as interest rate amount. We will then give you a borrowing figure, which isn’t pre-approval for a mortgage, but it is an indication of what you may be able to borrow. Even if the final figure isn’t up to your expectations, contact our lending specialists and we will continue to help you find a suitable home loan. What documents will I need when I apply for a low doc home loan? Business Activity Statements (BAS). If you own a small business, or are a freelancer or a contractor, banks and lenders may ask for up to 12 months of BAS information, or even two years of tax returns. Bank statements. Statements from your own bank can provide evidence of income over a long period of time. Make sure it is your primary bank account. Personal declaration. Some banks and lenders may also ask for a personal certification when you apply for a low doc home loan, stating how much you earn and providing a declaration you believe you can repay the loan. Business details. It can be important to make sure a bank or lender has access to your business details, such as your ABN and business name, or names. Accountant’s letter. A document from your accountant may also be required, confirming the information laid out in your own personal declaration. Guarantor. You may need to think about seeking a guarantor, or someone who will give your bank or lender a guarantee the home loan will be repaid. What are the advantages of a low doc home loan? Less paperwork. Not having access to mainstream income and employment paperwork means you don’t have to chase down as much information as someone applying for a regular mortgage. Shorter application period. Applying for a low doc mortgage can take less time than a full doc home loan. Interest rates can decrease. While interest rates can be higher at the beginning, banks and lenders can reduce the interest rate once you have shown over a certain period that you are able to successfully make repayments. Jenny from Mortgage House in North Sydney has set a new standard for customer service in this country. Exceptionally helpful, followed up on everything in a timely fashion and got my loan over the line with a fraction of the run around that I normally receive from the bank. I will be transferring all my loans to Mortgage House with Jenny's assistance. Well done! Do I need to go to a bank to get a low doc home loan? Actively listen. While some big banks and lenders think they know what their customers’ needs are, we listen to what they want, and deliver. Identify suitable products. At Mortgage House we pride ourselves on always identifying suitable products and options for each individual customer. That means taking the time to work out exactly what they need. Provide support. Once you are successful in your loan application, we don’t forget about you. 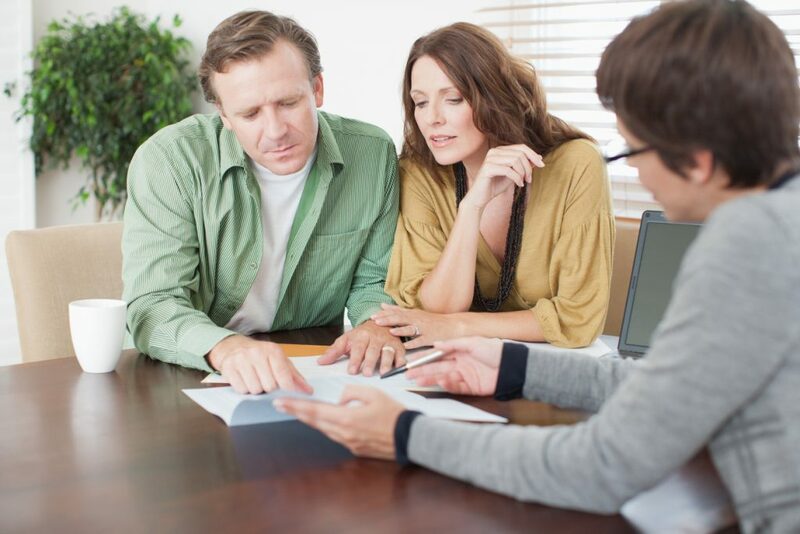 We can provide ongoing financial support and advice to you throughout the life of your loan. Engage specialist technology. Our proprietary technology ensures a seamless process for our customers. Provide all the tools we can. We help you with all the tools, knowledge and experience at our disposal.